Physiotherapy is often an alternative to surgery – as keen footballer Chris Wearing has found. As part of the ctchealthcare team, Chris put faith in the abilities of colleagues after suffering a nasty knee injury in a football tackle. An MRI scan revealed a torn cartilage but the 29 year-old turned down surgery in place of the less invasive therapies offered by colleagues. 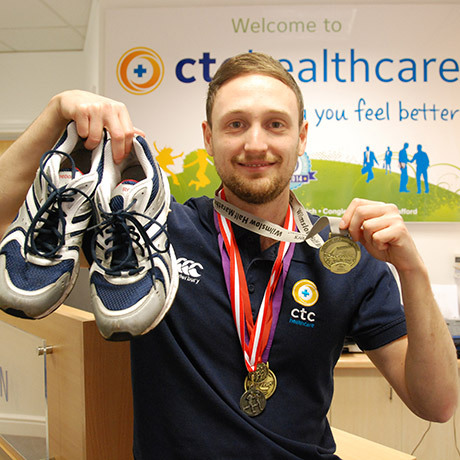 Now after a course of treatment at our Crewe clinic, he’s set to run the 26.2 mile London Marathon in April! After a programme of acupuncture and strengthening exercises in our gym, Chris is set to notch up another medal for long-distance running. He added: “Too many people opt for surgery which is invasive and carries risks. I’m so glad I didn’t go down that route as now I am pain free and back to full strength. “I’ve done half marathons in the past but always wanted to do the London event before I hit 30 and now I can. 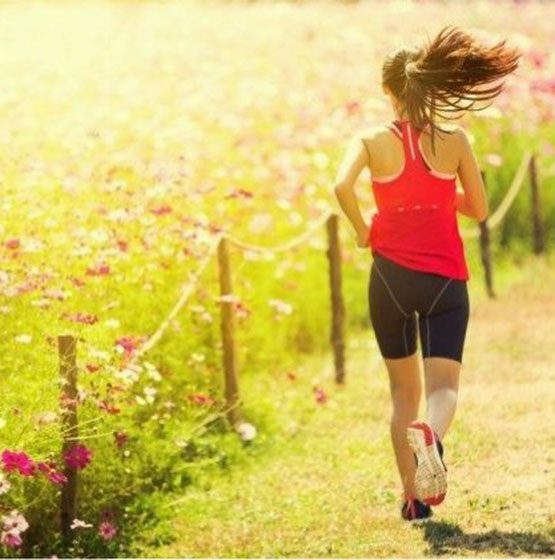 Not only achieving an life-long ambition, Chris is also running the marathon to raise money for a Cheshire children’s charity.